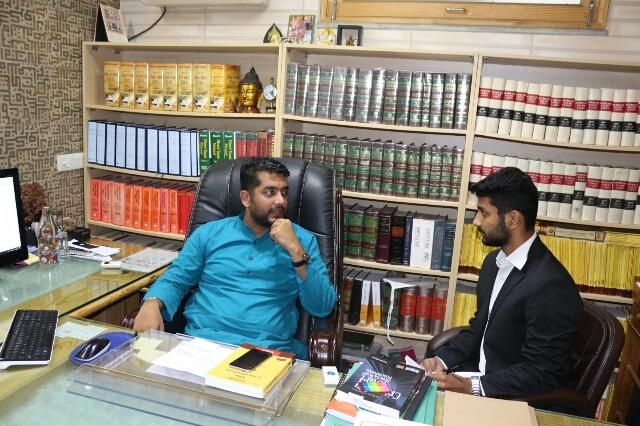 Legal Bites recently interviewed Mr. Jasmeet Singh, Advocate-On-Record, Supreme Court of India in his chambers. Mr. Jasmeet is a Next Gen Lawyer and has work experience at reputed law firms such as Herbert Smith LLP, London, Shardul Amarchand Mangaldas, Khaitan & Co., Karanjawala and Co., to name a few. His expertise in Taxation Law, Civil/Criminal Litigation, and Consumer Laws makes him a confident lawyer. Legal Bites: Sir, what is the role of law in a neo-liberal economy, and why should a law student be aware of the issues of political economy? Mr. Jasmeet Singh: My father once told me when I was facing difficulties in pursuing a career that the field of law is one profession where you can serve the society as well as earn money. Law is the only profession which is deeply merged and involved in societal and political issues which are not present in almost any other profession. Most politicians, like – Kapil Sibal, P. Chidambaram, Salman Khurshid and many others – were lawyers before joining the stream of politics. Therefore, Law has a deep nexus between politics and society. A law student should be aware of political as well as legal issues primarily because many times the judgments are not on law but on societal issues. To convince a client about your knowledge of the law, you need to display your knowledge about political and societal issues and impress him by citing examples from popular politically or socially renowned cases. For example, the recent judgment banning alcohol outlets near highways had absolutely nothing to do with the law. It was only a societal menace which the court stepped up to curb. Legal Bites: How would you describe the judiciary’s role in the shaping of the law in today’s times? Mr. Jasmeet Singh: I very strongly believe that the judiciary has played a tremendous role in shaping the political and social structure of the democracy of our country. Mostly, it is in the form of Public Interest Litigation. Public Interest Litigation is not a concept that is explicitly written in the Indian Constitution or other statutes. It is a borrowed concept. The judges have interpreted the Constitution to draw an inference that they have powers under Article 32 and Article 226 to pass judgments in public causes. So the role of the judges and the judiciary with regards to such issues is immense. Recently, apart from the concept of PIL, we saw a judgment in the Dera Sacha Sauda case. With such judgments, the society gets a reassurance of a sort that if something wrong is happening in the society – no matter how influential or prominent the culprit is – the judiciary will always nab him. Legal Bites: NJAC vs. Collegium. What’s your take on it? Mr. Jasmeet Singh: That is one judgment, with due respect, I would like to believe that shouldn’t have been taken. In my opinion, there is no harm in having executive participants in the appointment of judges. And with regard to the collegium system – nobody can boldly claim that it has never faltered or it never will. With Justice C.S. Karnan or any of the judges named in the judgment, the principal ground on which the judgment was passed by a majority of 4:1 was probably that if at all they take part in the appointment of the judges, they would leave some sort of influence on the judiciary. This, in my opinion, can happen irrespectively. Legal Bites: What is your perspective on whether there is a need of All India Judicial Services on the lines of All India Civil Services? Mr. Jasmeet Singh: If I were to state my opinion on this matter then I would say that it should not happen. India is a country of diverse needs and a candidate from saying, such as, Punjab will have to abide by the prerequisite of knowing the local language, and a domicile of any particular state will need to know the society better. So as a lower court is often acquainted with societal matters – I would suggest that the choice of judges should happen on the system of State Domicile. You can’t compare it with UPSC. You can’t have an IAS officer from Bihar placed in Karnataka and doing well. The person will not work as efficiently there. Legal Bites: Despite having more than 15 NLUs in India, students want to pursue their masters from foreign institutions like Harvard or Yale. Where are we lacking and how can we overcome this? Mr. Jasmeet Singh: We lack behind in terms of the international exposure that students are seeking. Yes, Harvard, Yale, Cambridge, Oxford and many others in this league are exceptionally well-established institutions and associations with any of them carry a lot of weight in terms of getting an admission elsewhere or a job for that matter. Most students after doing law work for 2-3 years and then apply for admission there. Their principle endeavors are two-fold. Firstly, they seek international exposure to the international markets and the legal system. And second – to make contacts. I have experience in working in a foreign law firm where I’ve encountered students and employees from different countries. And, in my opinion, Indians are no less in terms of knowledge, personality or aptitude. The quality of education in the NLU’s is perhaps just as good as that in a foreign institution. Moreover, the quality of students and the ambiance in NLUs is better for students in India. With the quality of friend circles in the NLUs, a student grows as a person and grows as a professional. So, according to me, I think that National Law University students are as good as the students of any other foreign law university. Legal Bites: Do you have any suggestions on how to balance work and other commitments, both professional as well as personal? Mr. Jasmeet Singh: See, you need fewer distractions. I am a firm believer of efficient work in the office. I restrain from using Facebook or chatting excessively on WhatsApp. The work environment here is that you come to the office, you don’t waste time reading newspapers or unnecessarily browsing the internet, you finish your work on time, and you leave. The culture that law firms have created now is that by offering hefty paychecks, the associates are realizing that without working for 14 to 15 hours in a day, their salaries stay unjustified. I can never work like that. Even at Amarchand, I used to leave office latest by 6.30 PM or 7 PM. I got excellent promotions despite that. So, for those who are reading this interview, if you imbibe efficiency within yourselves and not waste time in the office, then you can surely balance your professional and personal commitments with ease. Legal Bites: Thanks a lot, Sir! Previous ArticleGender Equality: Does it Include the Third Gender In India?